BROOKVILLE began in 1918 with one man's vision to bring reliable transportation to the local market. He installed flanged wheels on a Ford pick-up truck. The company thrives because of the leadership of our employees. BROOKVILLE is dedicated to innovation, quality, safety, and environmental responsibility. We build trustworthy products that meet or exceed our customers' expectations. We reinforce and earn that trust every day; through how our products perform, customer service, company practices, and honest interactions with our people. Our customers can believe in a BROOKVILLE, and ultimately, believe in Brookville Equipment Corp.
Brookville Equipment Corporation manufactures rail-mounted and rubber-tired haulage equipment for underground coal mining, hard rock & precious metal mining, tunnel construction, industrial switching, and mass transit applications worldwide. BROOKVILLE’s illustrious history provides first-hand experience in developing transportation equipment that is: innovative, cost-effective, maintenance & operator-friendly, environmentally conscious, and safety-minded. A global industry leader since 1918, Brookville Equipment Corporation’s diversified product line includes locomotives, personnel carriers, utility vehicles, and haulage tractors. Powered by diesel, battery, or trolley, BROOKVILLE’s machines are used throughout the world in underground coal mines, hard rock and precious metal mines, tunnel construction, agriculture, rail, industrial, and switching applications. In addition, the company also rebuilds and modernizes equipment to address a wide range of buyer requirements. BROOKVILLE representatives can be found within 80 countries in the world. Additionally, a strong support network of each BROOKVILLE unit plays a key role in satisfying the long-term requirements of customers. Our state-of-the-art facility is located in Brookville, Pennsylvania, with a multi-gauge test track, as well as main line access. We're dedicated to creating a workplace in which the rights, needs, and unique contributions of every employee are consistently respected. We want to be a company where people can stretch their capabilities and build their careers in an environment that reflects and respects their values. With over 200 employees, we place a priority on providing a supportive environment in which each employee is part of the BROOKVILLE family. Brookville Equipment is an equal opportunity employer. We are committed to an environment free from harassment and discrimination. 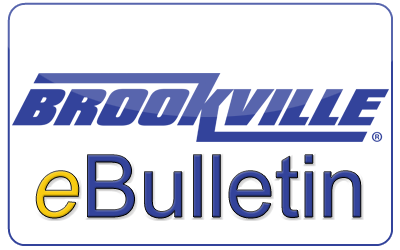 BROOKVILLE uses an open-door policy and a continuous improvement program, where employees are encouraged to raise questions, concerns, or suggestions, and to reach out to managers, supervisors, and our human resource department, as needed. Learn more about a career at BROOKVILLE.